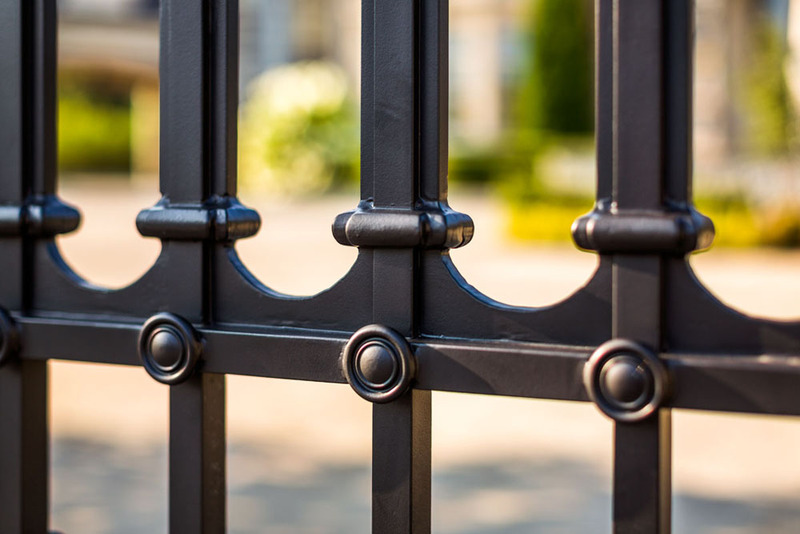 For this New Jersey project the client requested a driveway gate in solid aluminum based on a grainy photo of an old sketch. 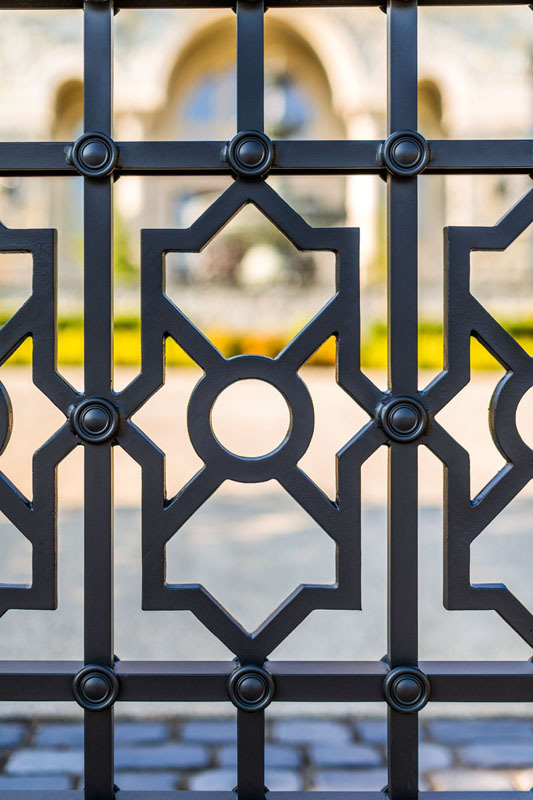 We did our research and found the Iron gate that was made off the original fence, it originated in England in 1861. The original piece was cast Iron, created with molds that have long since been destroyed or lost. 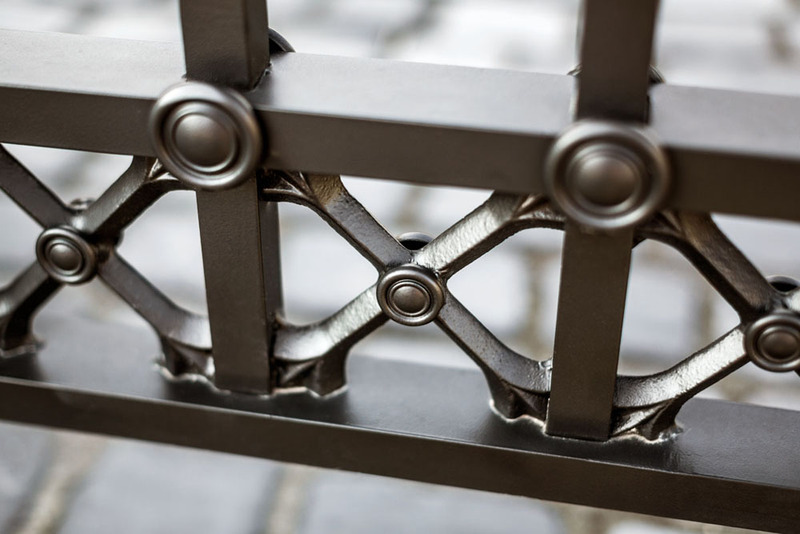 Utilizing a combination of forgings, castings, and bar stock, we replicated the cast iron look in aluminum. There were 2 significant aspects that facilitated labor intensity and therefore cost if the originality was to be followed to a T. By the nature of the joinery and rosette detail on the original, we could tell that both the cross members and verticals were 1” square solid bar. What that meant was that the verticals could be continuous but the 6 horizontals had to be fitted welded and sanded between every upright which would have dictated hundreds of hours of labor. Rather we provided the strategy of channel horizontal members and through punching, then sliding verticals through that. The custom forged rosettes were then mounted onto the face side of that. This tactic allowed us to maintain design continuity and save the client thousands of dollars. 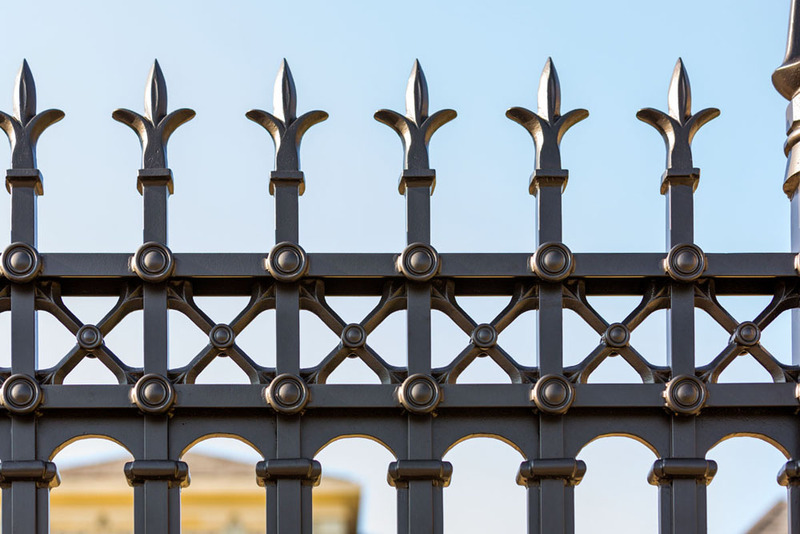 The heavy-duty gate hinge post was an original beauty. To completely recreate all the precise details would have cost approx. $15,000 for the 2 hinge posts. We brainstormed, did some value engineering and came up with a similar look in aircraft grade aluminum for half the cost. 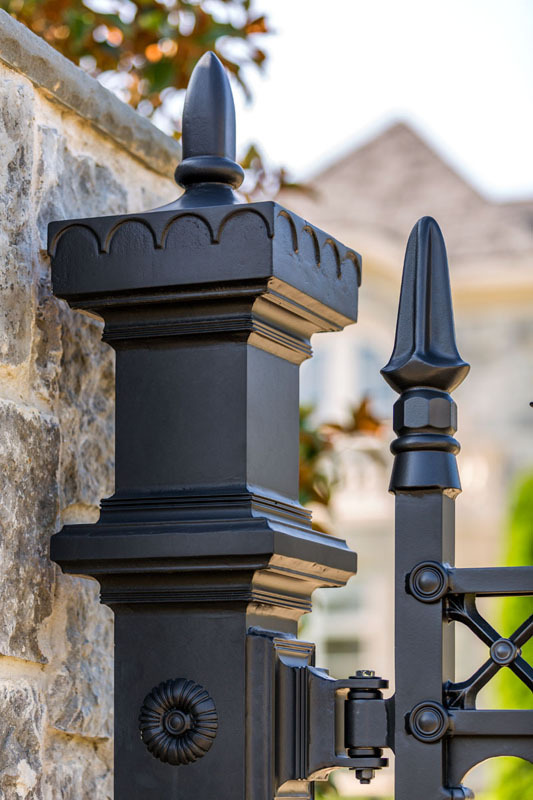 We finished the project off with a flat-black powder-coat to get the old-world look, and because it was aluminum, the client never has to worry about rust, and it provides security and peace of mind for his comfortable upscale home in New Jersey.